It’s amazing how a speculation, a quote from David, an idea – “white Chris Brown” – has become another opportunity for debate here at Soul Davidian. 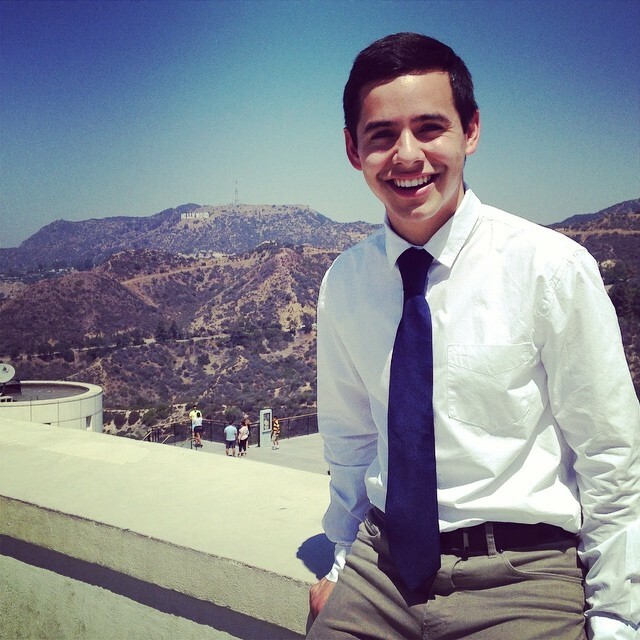 A few things for newbies and those of you who might not have been here at the beginning of Soul David six years ago: this blog became the site for “open discussion” ever since I made the decision back in the summer of 2009 to let fans express themselves over the Jeff Archuleta massage parlor scandal. When every other fan site agreed to “not speak on it,” Soul David knew some fans needed an outlet to express confusion, outrage, disappointment, skepticism, cynicism, angst, what-have-you. So, here we are again: with everyone feeling a certain freedom to say the things that concern them. I imagine anyone who posts here, even after all these years, do so because they genuinely care about David. There is a love for the Voice but also a concern for liking/loving the individual and having conflicts about that love or admiration. It may be painful for those who follow the LDS faith (a faith very few of us not following the religion really know all that well) to hear negative things about it. Unfortunately, when one’s church gets politically involved in targeting certain communities (as had occurred when LDS backed Proposition 8 back in 2008), it’s not surprising when certain fans really get conflicted: an artist may be apart of a church and never endorse many of the things the faith supports politically (think of Baptists disagreeing with endorsing political candidates or Catholics who disagree with the Pope), but an artist might agree with every tenet. When David kept his faith private, we didn’t have to ponder it but now we’re in a post-mission David era. Surely, David’s religious views can be separated from branding/marketing David the artist. So, in the previous post, the above video was shared, which shows David performing the song “He Lives in You” from Disney’s The Lion King at a religious conference. I’m absolutely fascinated by the way David inflected a specifically Christian message into an otherwise universally-based pro-nature/spiritual song. And despite the sacred space of David’s performance, the many qualities he showcases – his command of the stage, his humor, his passion, and his amazing soulful licks that he can still add to the most Disneyesque “safe” song can be transformed beyond a singular church or faith. That’s the power of the Voice, y’all! If I were a music exec, I would see vast potential here (e.g. don’t forget many of our most cherished vocalists in history started out singing for their churches!). So, this idea that David’s label Jive may have been misguided in thinking they could market him as a “white Chris Brown” is based in a limited worldview. Chris Brown, back in 2008 when David became the runner-up on American Idol, had very family-friendly pop songs playing in rotation: from “Forever” (which will be forever linked to the phenomenal viral video of that infamous wedding entrance) to “With You” to the Summer 2008 Olympics anthem “Dreamer.” If marketing David along those lines was what Jive had in mind, not only does that make perfect business sense, but I imagine the label saw the grand potential of turning David into a bigger and more mainstream version. Of course, Chris Brown took a huge fall after he was arrested for beating up fellow pop star Rihanna in 2009, and both he and Rihanna have revitalized their careers vis-a-vis the “bad boy” and “rebel girl” image. There was no other way for Chris Brown to recover, once he had been exposed as a batterer. Indeed, the fact that Chris Brown did not disappear into irrelevance means that anyone from all walks of life can be branded/marketed. Indeed, with Brown’s downfall, there was even an opportunity for David to rise up from the ashes of this fallout on Jive’s label, rescuing the label with an alternative image: that of the “good boy,” the kind and tender-hearted crooner. Who wouldn’t have eaten that up when the public decried violence against women? In short, any persona can be branded or marketed. There is a market for all kinds. Just like Taylor Swift can be a “good girl” to the “bad girls” that Rihanna and her ilk represent, David could be the sweet and true dream guy. So, what happened? Perhaps David wasn’t invested in being marketed to the masses. Perhaps he prefers comfort to discomfort. Fame is a heavy price to pay, and being such a shy guy, I could see his own discomfort. But then you see videos like the one above, where it’s so obvious David loves the stage and loves to sing and loves performing. Labels are just there to figure out how to “package” it to sell to more people. That’s not always a bad thing, unless the artist has decided niche markets and niche audiences are all he needs to be happy. So, more than half of those who voted in yesterday’s poll on Soul Davidian voted for “Another Song” that they would love to hear David sing again. My own “other song” would have to be “And So It Goes” (see above) because I have yet to hear the Voice rock my soul and haunt my days in the way he did on that performance. To be honest, I really had to think of some great standout songs from David. “Imagine” was too obvious a choice, so I went with others that have really defined him for the Archangels fanbase. I think this says a lot more about the musical output than it really says about David creating a signature sound or musical identity for himself. Consider: very few of his fans voted to hear David sing “Crush” again, and that was his biggest hit. I think we can all appreciate “Crush” as the prerequisite pop song that Jive could make bankable cash on from a popular singer fresh off a popular TV show at the time. But, in all seriousness: what real artistic development have we seen from David? Everything he’s been able to establish for himself came from live performances, where his Voice could be witnessed by those who were fortunate to hear him. It’s why I could always write from a context of anticipation. I always anticipated the greatness of David, which emanated from the potential of the Voice, a greatness that I always felt was diminished or held back. Yes, held back. His greatness was held back by a pop-confectioner label like Jive, then held back by Idol’s 19E management that didn’t want its runner-up outshining that year’s winner, then held back by personal management that seemed to burn more bridges than build them in the music industry (if we want to believe various behind-the-scene rumors involving stage dads and the like), and finally, and perhaps most importantly, held back by David himself (limiting his artistic vision for religious fervor or for his own personal hang-ups). In other words, David’s fans have always been hungrier, more passionate about David grasping the brass ring than David himself seemed. We know his potential to transcend the heights, but in the end, an artist must have that dream for himself. 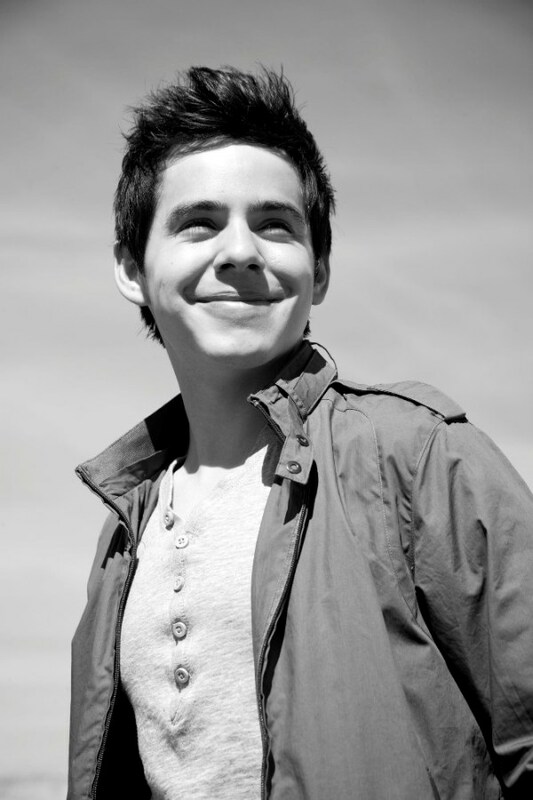 I love me some David Archuleta and will always be in awe of his transcendent Voice, but I’ve always believed his artistry was greater than the musical output. I’m not the only fan who has felt this way about his original songs and albums. Such criticism isn’t indicative of a “bad fan” but a genuine fan who knows what her idol is capable of and still awaiting his greatness to shine and be witnessed by the masses. 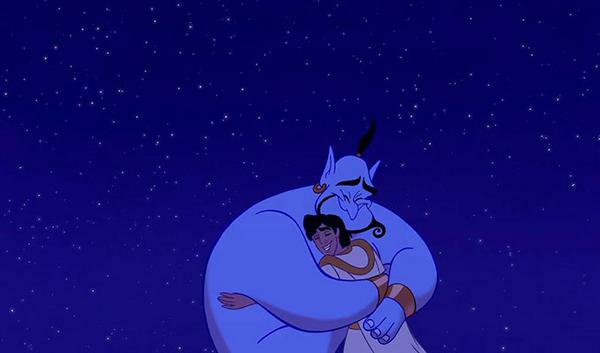 It’s not the same as clinical depression, but it does share some qualities, and it’s not a surprise that our great comedic geniuses (the late Robin Williams, who was also bipolar) and artists are tinged with feelings of sadness, despair, darkness. Some of our great comedians display such sensitivity – not just Robin but also the late Richard Pryor, Dave Chappelle, Chris Rock – you know, folks who have the ability to be hilarious while also delivering razor-sharp criticism, either about our social world or through self-deprecating humor (Robin was quite adept at the latter). And then there are those artists who can tap into that blues residue and deliver the soul through their art – like visual artists like Van Gogh or vocal artists like Billie Holiday. It’s this feature of deep-seated melancholia that really drew me to the Voice. David has that wonderful ability to not only soothe (as I recently posted) but to drive you to tears. He has this uncanny ability to tap into that source of despair and release it so tenderly in song. So, it is because of this why I wouldn’t dare make blanket statements or assumptions that he does not suffer. I don’t know him as a person, only as a public persona and musician. Just like I would never have guessed the tears behind the face of a clown (like Robin Williams), I won’t make any guesstimates about David’s mental or emotional health. We just don’t know. A smiling face might mask a world of sadness, and a hyper-active comedian who makes me ROTL may be suffering severe depression. All we have is their art. And we can only respond in awe and wonder that such brilliance transcended anyone’s pain or joy at that moment of creativity. We are all the better for it when such sensitive souls (because that’s what the great artists are – truly sensitive to the senses, to others, and to the world) share a piece of their soul with us.